Our room settings are suitable both for business and leisure. Our hotel has rooms for single use and premium rooms with double beds for both double and single use. There is also a female-only area on the second floor that is reserved for our female guests in order to give more sense of security during their stay in our hotel. In addition to comfortable beds and free Wi-Fi Connection, you will find convenient facilities and a variety of amenities in your clean and cozy room. Our hotel was fully renovated in 2012. Enjoy your stay in our renewed clean and bright rooms. Each room has spacious beds - semi-double beds in single rooms and king-sized beds in premium rooms – allowing you to stretch out and fully relax. Free Wi-Fi is available in the whole building. No need for typing in a password. This will help you get done with your work comfortably and efficiently. Single rooms are the best choice for a business trip, as well as for single use. Our hotel has 111 single rooms in total. The rooms have a simple practical desk and chair that help you to concentrate on your work. The size of the bed is semi-double with 120cm in width, which is larger than a typical single room bed. A flat TV is placed on the wall, so you can enjoy watching TV while lying down on the bed. 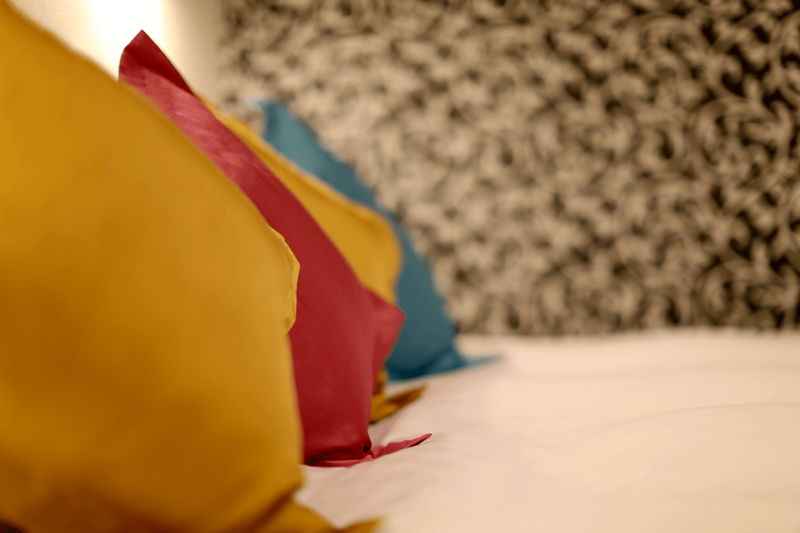 We offer six premium rooms for not only couples but also for luxury single use. These simple but bright rooms are also suitable for your business trip. They have king-sized beds – 200cm in width. A 40cm Flat TV is placed on the wall at the foot of the bed, which enables you to enjoy watching TV and VOD while relaxing. The room also has male and female room wear sets and an air cleaner. There is a female-only area on the second floor, where there are 10 rooms reserved only for women. The entrance of the area is locked with secured IC Card, and you will find a variety of “attentive items” such as fashion magazines that you can bring back to your room. A variety of soft drinks are offered free of charge, including flavored teas and cappuccino. All ladies rooms are non-smoking. Our hotel provides a good environment for the guests staying for business trips. Free Wi-Fi is accessible throughout our hotel building, and a spacious desk and practical office chair are ready in your room. Three newspapers including Nihon Keizai Shimbun, a Japanese leading economic newspaper, are available for your reference for free of charge in the lobby. Have a break with a cup of coffee from a free coffee machine (“Barista”) installed on each floor! A high-security female-only area and variety of female-friendly amenities including hair care cosmetics and others are available for our female guests. The public bath for ladies is conveniently located on the same floor as the female-only area. You will also have access to a series of basic skin care products. We have prepared “minimum +α”room facilities and amenities for you to enjoy your stay even if you come empty-handed. A series of basic skin care products such as makeup remover and others are available in the public bath area for ladies. 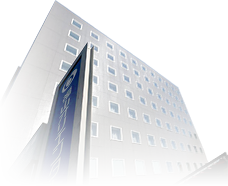 We guarantee the lowest room rates when you make a reservation through the Fukuyama Oriental Hotel official website. Please let us know if you find lower room rate under the same conditions in other travel websites. The guests staying overnight at our hotel can have our special breakfast buffet for JPY 800. You can have this breakfast for only JPY 400, if you book your stay from our official website! You can buy breakfast vouchers in advance at the front desk. You can have a free access to V.O.D (Video-On-Demand) that usually costs JPY 1,000. More than 120 programs are available. Make a reservation in 1 minute! © 2019 Fukuyama Oriental Hotel. APA Partner Hotels and you can collect APA points. Receive a JPY 200 discount per night and a bottle of mineral water as a free gift by booking the ECO Multiple-Night Package. This offer is applicable for two consecutive nights or longer without room cleaning service.